I’m so excited to share another amazing guest post on the topic of Memory Work!! To catch you up, I shared Memory Work Made Easy ~ a full year of free memory work for you, with printables! Pam shared how to create an iTunes playlist of your memory work! Brandy shared about creating a memory work binder. And today, we are blessed to hear from Mystie. I love her perspective that she is sharing in this post!! Thank you, Mystie! Whenever we set out to do something, we should know what end we’re aiming for, what goal we’re attempting, what point we want to make. I know when I think of memory work I am tempted to envision my five children, lined up in a row, in perfect unison and cheerful voices, reciting an entire Psalm. Of course, their shirts would even all be clean in this vision. And that just goes to show it is totally imaginary and infeasible. For one, my children span a range of ten years, so right now, one is not even talking. When she is able to begin reciting, her oldest brother will be approaching high school. When she is learning Psalm 1 and the answer to the question, “Who made you?” will the teen still remember the answer? When she is memorizing the passages he is currently memorizing, he will likely be gone. And when he is off at college, will he remember? Second, it turns out that reaching word-perfect recitation is really hard. One way to make it easier is to pick very short bits to memorize. 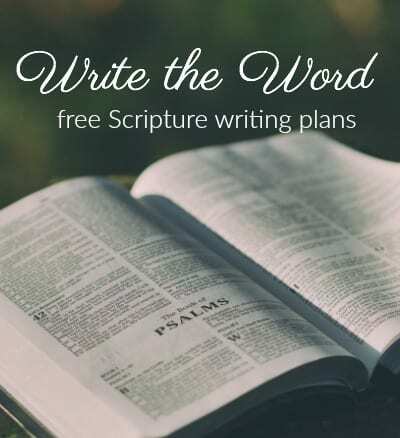 But when we seek word-perfect in that way, we may end up memorizing Bible verses as if they constitute a grab-bag of inspirational thoughts, and we will have a difficult time finding short poems or short hymns. 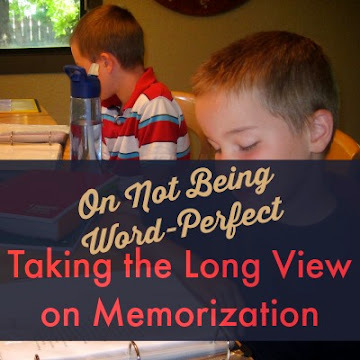 So, what do I want when we’re “done” with memory work? Actually, what I want is for us to never be done with it. What I want is for it to be planted within us, to grow and blossom in its time, and for us to grow to love God’s word and poetry and beautiful language more and more the more time we spend with it. If we desire to commit to memory whole thoughts, entire pieces, we must commit to investing lots and lots of time. This is hard, because in the short term we rarely have anything to really show for it. With a handful of random verses, a child can stand up, recite them perfectly, earn a prize, then empty his mind so he can learn the next set. Mom gets the moment of performance glory and the child gets some candy. But if we want to learn whole passages, whole chapters, whole thoughts of Scripture, or if we want to learn the creeds, the old hymns of the faith, and beautiful poetry, we will have to be content to postpone seeing the fruits of our investment. It will take years, not weeks. Our family often recites the Nicene Creed during our recitation time (we call it Circle Time). It is about the length of many Psalms or poems or New Testament paragraphs. Most of us have it mostly memorized now. It has been in our memory work binder for two years. We did it daily for six weeks, then weekly for a few months, moved it to every other day for awhile, and little bit by little bit, never letting it go, we are mastering it. And it, I hope, is sinking down deep within us, like a tiny bit of leaven works through a lump. The truth about memory work is that it must be reviewed to stick. 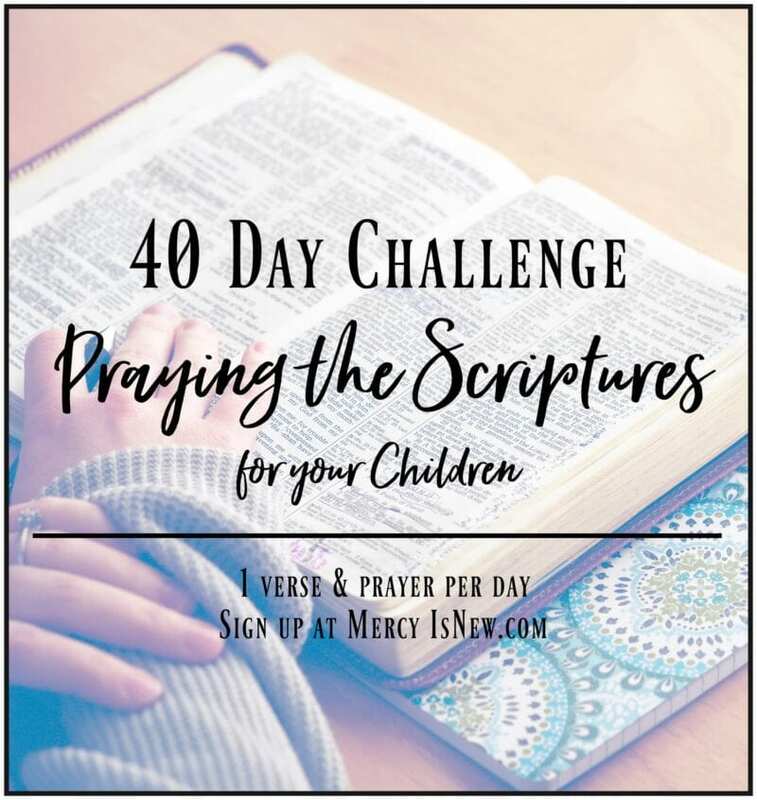 If you have a few verses you still remember from your childhood, it is because they came up again and again in your Sunday School and church camp days, and then you called them to mind and mulled over them as you matured. That is review. Review is essential. Review allows the words to forge a home in our hearts. When I select memory work, I do not think in terms of what we can do and be done with in the year, but what I should add to our lifetime of memory work. This means as I begin to plan for our seventh year, only a quarter or a third of what we do during our memory work time will be new. And as we turn to the chapters we have gone over before, speaking them and hearing them again, it is like drip irrigation rather than flood: slowly, surely, bit by bit, the words sink into our hearts and souls. On a practical note, because I approach memory work with this long-term approach, I have modified our memory binder system to fit our family’s flow. We don’t stay on one selection until we have it memorized (with a group of six people, spanning so many ages, even making that judgment call is difficult), we repeat the same selection daily for six weeks. Usually most of us have it memorized by then, but the switch time comes by the calendar, not by a decision from mom. Whether or not it is memorized, it will return in the review section off and on for the next ten or sixteen or more years, though they will not all be around the table for all those years. I have also printed a memory binder for each child, so that the pressure to lead is not constantly on me and the pressure to obey and follow and submit is not continually on my older boys. When I switched to giving them their own binder, the resistance inspired by daily repeat-after-me exercises melted away as they felt ownership and leadership in the process. Plus, it meant I could take a toddler aside for a few minutes or put the baby to bed and they could carry on – they didn’t only feel ownership and leadership during memory time, they took on ownership and leadership. So, don’t be discouraged on your memory work journey if you feel like you aren’t reaching any end points, if it feels like you gain one memory passage only at the expense of some other, if your children never can get it word-perfect. Make haste slowly. Keep repeating and keep persevering, because God’s Word never returns void and our goal is for it to dwell in us richly. 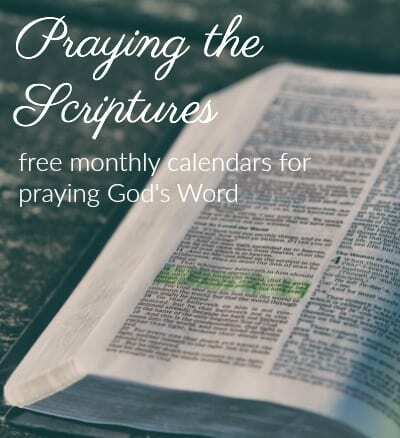 No time is wasted which is spent in repeating God’s Word or beautiful and true language, even if no one achieves performance quality recitation. Mystie Winckler is a wife, mother, homemaker, and home-educator. Mystie has been married for twelve years to her only sweetheart, Matt, and both are homeschool graduates themselves. Now they raise & educate their five children. Mystie has written Paperless Home Organization, GTD for Homemakers, and Simplified Dinners. She blogs at Simply Convivial on homemaking, home-educating, reading, and organizing.